In a Paris courtroom last month, after seven long years, the myth of Muhammed al-Dura finally unraveled. That myth, propagated in a report by France 2 television network on September 30, 2000, falsely accused Israeli soldiers of killing a Palestinian child named Muhammad al-Dura while he was crouched behind a barrel with his father at Netzarim junction in the Gaza Strip. An IDF probe into the incident, ordered by then-OC Southern Command Maj.-Gen. Yom Tov Samia, ruled out the possibility that the gunfire that apparently harmed the boy was fired by IDF soldiers. Last month, France 2 was ordered to show the 27 minutes of uncut footage its cameraman testified he filmed at the scene that day and from which the 55 second news story of the purported shooting of al-Dura by IDF soldiers emerged. Charles Enderlin, France 2's permanent correspondent in Israel who reported the story, made a grand entrance into the courtroom where Philippe Karsenty is appealing a libel conviction he received last year after Enderlin and France 2 sued him for publishing an article arguing that the al-Dura story was a hoax. In the courtroom, in seeming defiance of the court order, Enderlin showed an 18-minute film – which eyewitnesses claimed was obviously heavily edited – of the events of the day. Although apparently doctored, the film's finale was all that was necessary to prove his report to have been a massive deception. For in the last three seconds of the film, al-Dura, showing no signs of injury, raised his hand and peeked at the camera after Enderlin proclaimed him dead and gone. The French court is in recess until February but the session last month incontrovertibly destroyed the myth of al-Dura. Yet the truth which took seven years to come out cannot erase the consequences of the falsehood. Enderlin published his report two days after the Palestinians launched their jihad against Israel. The false image of the victimized al-Dura served as a moral indictment of Israel which fueled the murderous campaign against Israel and Jews worldwide which followed. Just as al-Dura's name was invoked by Palestinians as justification of their massacres of Israeli civilians, so it was invoked by Wall Street Journal reporter Daniel Pearl's executioners and by Muslim mobs in Europe as they attacked Jews and Jewish institutions. Enderlin's alleged hoax went beyond journalistic malfeasance. He put blind faith in the reports of a cameraman who was clearly lying to him. And when faced with the facts of the deception, he aggressively dismissed them over the course of seven years. While it is hard to say how events might have unfolded if he hadn't chosen to act as he did, looking forward the murderous consequences of the al-Dura myth speak volumes about the moral imperative for journalists to get their facts straight and to acknowledge mistakes when they are discovered. So too, it underlines the need for policymakers to base their decisions on facts, even when they expose difficult and inconvenient realities. FACTS OF course, are slippery things. Authoritarian regimes and political movements often engage in the deliberate dissemination of disinformation to advance their interests. The KGB in its day devoted the overwhelming majority of its efforts not to classical espionage activities but to the dissemination of false information to the West in an effort to demoralize Western societies and convince them that there was no moral justification for fighting communism. Since Israel was established in 1948 the Arabs have devoted the lion's share of their efforts against Israel not to armed attacks against the state but to the dissemination of false information about Israel which is aimed at demonizing it internationally and demoralizing Israelis internally. So too, both the Arab states and the Palestinian Authority indoctrinate their own people to seek Israel's violent destruction through massive internal propaganda efforts. Even when independent media outlets use their best efforts to report the facts in a credible way, they sometimes get it wrong. For instance, on November 27, the Jerusalem Post reported a quote made by an Arab diplomat to AFP news agency in Riyadh claiming that the Bush Administration had bowed to the Arab demand to force the Israeli delegation at the Annapolis conference to enter the conference hall through a separate entrance from the Arabs. In the diplomat's words, "The Saudis told Washington that they do not want to meet anyone from the Israeli delegation, either by chance or by prior arrangement. Hence it was decided that … delegations would enter into the meeting room from different doors." His assertion was made credible by statements from US officials regarding the Saudi demand for segregation between the Arabs and the Israelis at the conference. State Department spokesman Sean McCormack said, "As the Saudi foreign minister put it, nobody's interested in these uncomfortable situations where there are theatrics for the sake of photographs. We'll of course be respectful and mindful of that as we'll put together the various events." It was these twin reports that informed my own decision to begin my Nov. 30 column "Apartheid not peace" with the story of the separation of Israeli representatives from Arab representatives at Annapolis. Happily, after my column was published, both the State Department and Israeli officials denied that the US had enforced the Arab demand for segregated entrances. YET WHILE the Bush administration did not bow to the Arab demand for segregation at Annapolis, it is moving to advance the Arabs' bigoted demand for apartheid rather than peace in the Middle East. Since the Annapolis conference, Secretary of State Condoleezza Rice has repeatedly invoked the false Arab view that the physical presence of Israelis beyond the 1949 armistice lines is the source of the Arab-Israeli conflict rather than the Arab world's expressed refusal to accept Israel's existence and Palestinian society's expressed resolve to destroy Israel. Rice's open and repeated assaults against Israel's plans to build housing in Jewish neighborhoods in its capital city of Jerusalem and her studied silence on the issue of Arab and Palestinian Authority sponsorship of terrorism against Israel make her internalization of the bigoted and false Arab narrative clear. Indeed, in an interview with the BBC last week, Rice placed the blame for the seven-year suspension of peace talks between Israel and the Palestinians not on the Palestinian Authority which directed and sponsored the terror war against Israel which has claimed more than a thousand Israeli victims, but rather on the Israeli government for its support of the presence of Jews in disputed lands. As she put it, "On the Middle East peace process, I don't think in 2001, with the intifada having just been launched and frankly, Ariel Sharon, the father of the settlement movement, having just been elected prime minister of Israel, that there was much prospect for a final-status negotiation." IT COULD be argued that in adopting her overtly anti-Israel and bigoted view of the Arab world's conflict with Israel that Rice is the victim of disinformation and general ignorance. This view might have some credibility were it not for the fact that the administration itself is actively ignoring evidence which shows its view of the Palestinians and other Arab states to be false. ists that Israel must not build in its capital city and must plan to expel some 250,000 Israelis from their towns in Judea and Samaria, she has been silent on the fact that Fatah's 43rd anniversary posters depict the map of Israel covered by a Palestinian keffiyeh, a rifle, and a portrait of Yasser Arafat. Regionally, as the US legitimizes Bashar Assad's murderous regime in Syria, the administration is making concerted efforts to prevent Congress from understanding the depth of Syria's involvement in terror and nuclear proliferation. According to a publication by the Federation of American Scientists, President George W. Bush is threatening to veto the 2008 Intelligence Authorization bill because the bill requires that the While House fully brief the House and Senate intelligence committees about the nature and target of Israel's September 6 attack on what was reportedly a North Korean-built nuclear installation in Syria. According to Congressional sources, the administration is withholding information about the Israeli attack for it believes that a revelation of the nature of the attack will cause an outcry in Congress. Such an outcry will force the US to back away from its current engagement of Syria and North Korea and instigate the tightening of sanctions against both countries – and perhaps against Iran. TYRANNIES require disinformation to maintain and justify their grip on power to their own people and to the outside world. But democracies can only flourish through the open flow of information. When the media of free nations publish lies and distorted accounts of fact, and the governments of free nations base their policies on falsities, their national interests are necessarily harmed. Mistakes happen. Falsehoods inevitably find their way into discourse. But with good will and a basic, underlying commitment to facts, these mistakes can be easily corrected. disinformation and the studied refusal of Western policymakers to acknowledge inconvenient facts in favor of easy lies and deliberate deceits which enable them to avoid contending with harsh realities, it is no surprise that our public discourse today is increasingly based on equal doses of mendacity and wishful thinking. And tragically, as the al-Dura affair showed so well, the murderous results won't be long in coming. The decline of journalistic integrity is a significant problem, and the unveiling of the al-Dura hoax is just one example. It is the professional responsibility of columnists to check their facts, proofread their articles, and preview them before clicking the “post” button. When it first happened, Israel apologized, said that it does not target civilians, and promised to investigate. It took seven years to realize that it was a Palestinian bullet that killed the boy. It should have taken seven seconds for Israel to state strongly that they were not the ones who shot the boy. This lack of intelligent response cost many Israeli lives. And Karsenty could have acquitted if Israel sent support during his trial, which they did not. When will Israel ever learn to defend itself in the court of public opinion? Israel seems to have internalized the enemy narrative and as a result lost sight of the importance of promoting the justice of its cause. By not defending itself in the court of public opinion, Israel has taken the path of least resistance. This is by no means true only of the al-Dura case but also in respect to Israel’s “hasbara” work in general. It is non-existent. There is no central office to coordinate Israeli responses in an age when information is virtually instantaneous. Reforming that would help but it is not the main problem. The main problem is Israelis don’t bring up their country’s numerous accomplishments and its evident superiority over its neighbors. For instance, women and minorities have status and rights unimaginable in much of the Middle East. That and the uniqueness of Israel’s self-identification as a Jewish state is absent from the public narrative. Israel would have far less difficulty on the international scene if it took the lead in shaping events rather than reacting to them. It can be done but it will require re-shaping how Israelis see themselves and the world around them. About this subject I recommend you an outstanding article,”Show of Force”, by Noah Pollack. 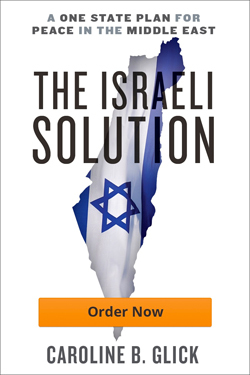 He says “At the heart of the problems of organization and discipline that are so prevalent in Israel’s failure to address its image problem, there is ultimately a conceptual failure in the inability to recognize the changed nature of modern warfare….Israel cannot change its enemies, but it must change how it fights them.